29th July 2018 - It's all over bar the Post Mortems. 17th July 2018 - If you are looking for somewhere to eat. These flyers will be in your Convention pack. 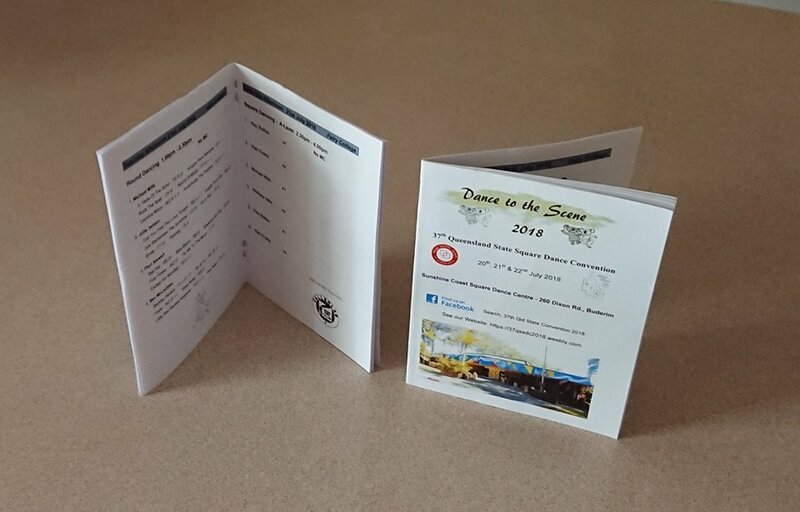 17th June 2018 - Got a couple of copies of the Program booklet this weekend - It looks great. 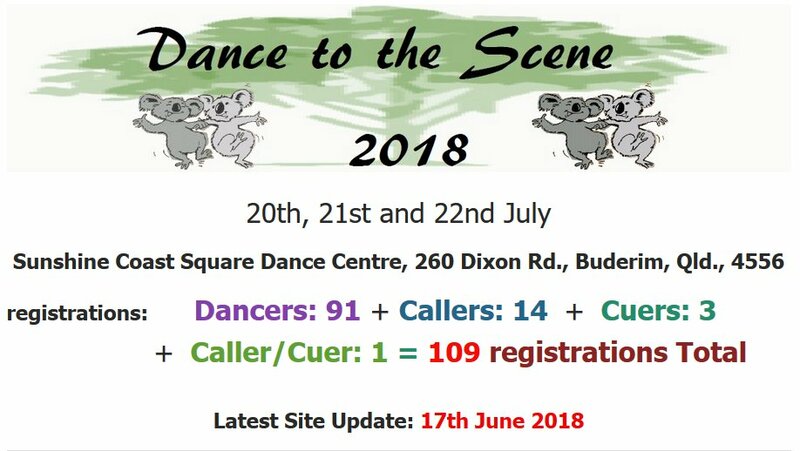 15th May 2018 - Reached 102 registrations total. Received the Rounds Program from Bev. 8th May 2018 - Reached 100 registrations total. 30th March 2018 - Discount vouchers have arrived from these businesses. 9th February 2018 - Michael Mills has agreed to Co-ordinate & Run the Clogging at our Convention. That is 10.00am after the Convention meeting on the Sunday morning. In the Fairy Cottage. Thanks Michael. 15th January 2018 - They arrived in the mail today. 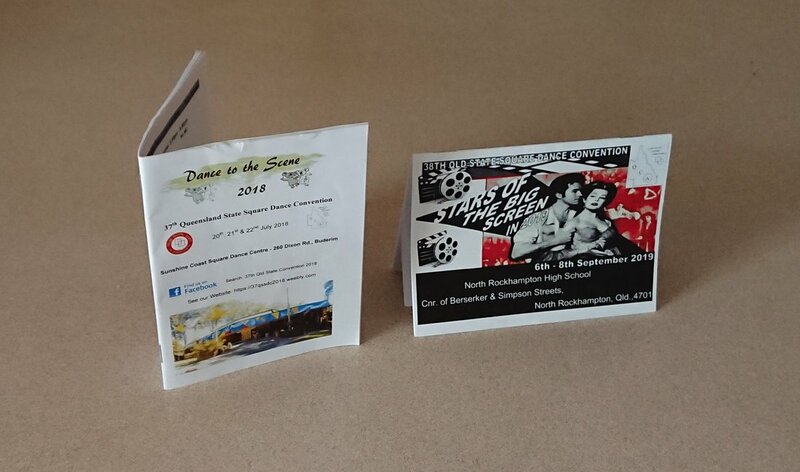 11th January 2018 - Convention Ribbons are in the Mail - they just need some double sided tape attached. 9th January 2018 - Total registrations are 32 - see home page for details. The Venue is fully paid for - Convention bags have been purchased - all is under control. 8th January 2018 - Ordered convention ribbons - They will be in a light green to symbolise eucalyptus leaves. 29th May 2017 - Just received a whole bunch of promotional pens from Bunnings.